Dual-trigger steering makes tight turns effortless. It allows you to stop the power to either wheel, easily turning the machine left or right. 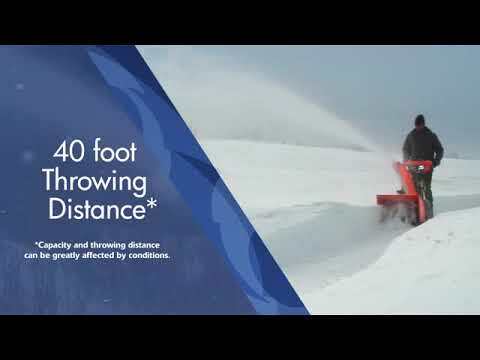 Dash-mounted chute rotation and deflector controls make it easy to point snow exactly where you want it. The heavy-duty steel dash panel includes convenient controls and LED headlights. Heated hand grips with on/off switch keep your hands warmer on cold winter days.